In All Saints Hospital, Birmingham, shortly before it was sold to property developers, a basement office revealed a strange and disturbing collection of 19th century journals, records kept when the hospital was known by its previous name, the Birmingham Borough Lunatic Asylum. 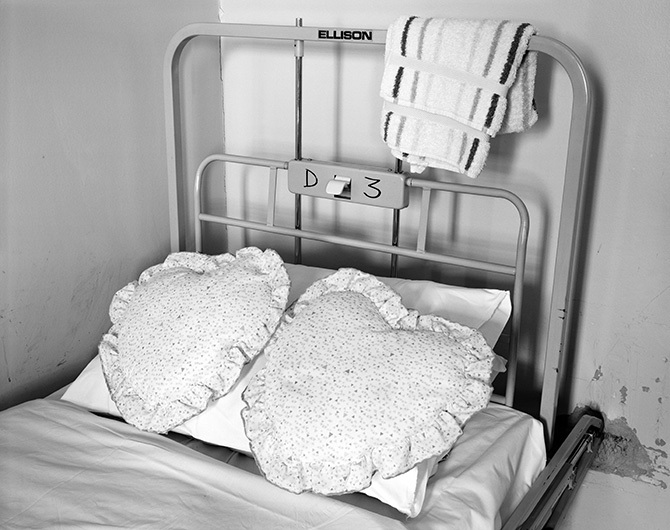 This series is shown here alongside another set of pictures made on the 'secure ward' at Highcroft Hospital in the same city. In this modern equivalent of the Victorian asylum, overworked and highly stressed staff dealt with unpredictable, often violent patients with remarkable care and commitment, but with precious little support from the NHS. Highcroft was closed in 2000.